Submissions for Sculpture by the Sea, Bondi 2017 are closing soon! Nicole Larkin, Dynamics in Impermanence, Sculpture by the Sea, Bondi 2016. Photo Clyde Yee. Have you ever wanted to exhibit at Sculpture by the Sea? 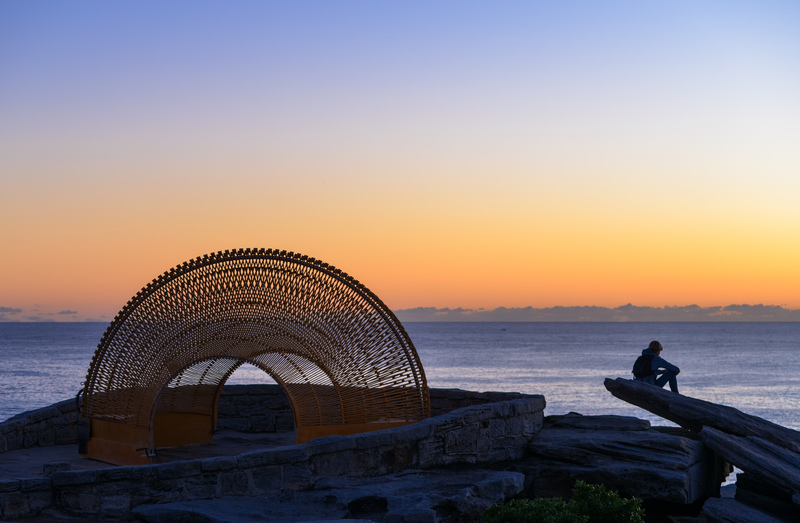 Emerging, established and aspiring artists alike are encouraged to submit for pre-selection in the 21st annual Sculpture by the Sea, Bondi to be staged along the coastal walk from Bondi to Tamarama in Sydney, Australia from 19 October – 5 November, 2017. Artists can apply both online and by mailing hard copy applications. Online applications will close Sunday 9 April 12am EST and the cut off for mail applications is Friday 7 April, 5pm EST. An Artist cost contribution of up to $2,000 to each artist who exhibits in both Sculpture by the Sea and Sculpture Inside, and who does not otherwise net over $2,500 in sales, subsidies or prizes from the exhibition.